Since #MeToo became a viral hashtag, Tarana Burke has emerged as a global leader in the evolving conversation around sexual violence and the need for survivor-centred solutions. 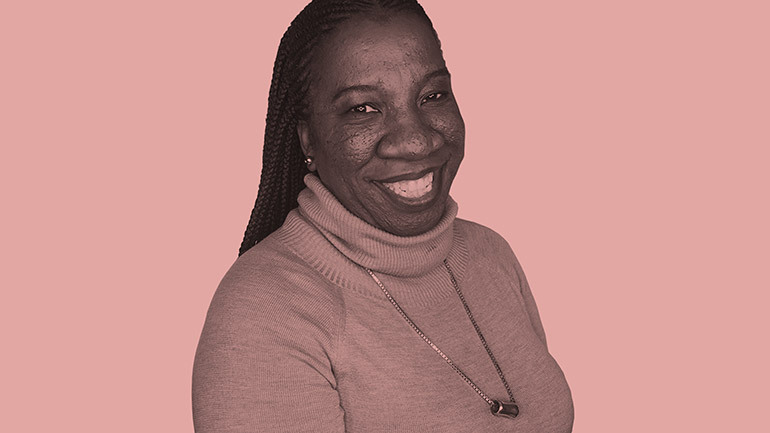 When: Wednesday, March 6 from 7 to 9 p.m.
As the founder of the global ‘me too.’ movement, Tarana Burke has inspired many to raise awareness about sexual harassment, abuse and assault in society. She will visit Kelowna on Wednesday, March 6 as a guest speaker of the 2019 UBC Connects speaker series presented by UBC President Santa J. Ono. This event is hosted in partnership with UBC Okanagan's Office of the Deputy Vice-Chancellor and Principal and the UBC Students’ Union Okanagan (UBCSUO). It is made possible through the support of alumni UBC, UBC Equity & Inclusion Office, and the UBC Okanagan Sexual Violence Prevention and Response Office. Since #MeToo became a viral hashtag, Burke has emerged as a global leader in the evolving conversation around sexual violence and the need for survivor-centred solutions. Her theory of using empathy to empower survivors is changing the way the nation and the world think about and engage with survivors. “Tarana is an empowering and inspiring thought leader and we are delighted to have her in Kelowna to share insights and inspire actions for a world free from sexual violence,” said Deborah Buszard, UBC Okanagan Deputy Vice-Chancellor and Principal. "We look forward to welcoming Tarana to UBC's Okanagan campus to engage our diverse student body in enlightening discussions on how she has changed and continue to change the way the world thinks about sexual violence," says UBCSUO President Amal Alhuwayshil. UBC Connects is a unique public lecture series featuring some of the world's most esteemed thought leaders. The series started in 2018 as a way to better connect our communities – both local and global – to the bold thinkers who are helping to share insights on the world’s most pressing issues. More than 2,700 people have attended the series in person since its launch and another 17,000 have watched or listened to the talks online. All past events have been sold out and featured prominent speakers including food writer Michael Pollan, social activist Isabel Allende and world-renowned physicist Michio Kaku.